Another diagram for the upcoming evolution book! Everything but pigeon referenced from Greg Paul diagrams; pigeon referenced from various photographs of pigeon skeletons I could find. Two interesting points as an animal becomes more "birdlike": the hallux moves towards greater mobility, and the tarsometatarsus fuses. The tarsometatarsus of Archaeopteryx represents a unique semi-fused "transition" state between unfused and totally fused metatarsal bones. Would I be able to use this image (with credit and link, of course!) for a blog post? I blog at Strange Woman Standing in Mud, Looking at Birds, and I'm working on a post that talks about bird feet vs. non-avian theropod feet. Could I use this for a blog post (with credit and a link-back)? 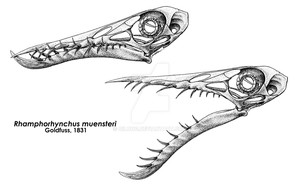 My blog is Playing Chess with Pigeons and I am writing something that involves Deinonychus, so you can see the attraction. Sure thing! Thanks for asking. Seeing this side-by-side foot comparison makes me wonder why people seem to think theropod "hands" aren't that flexible when those bones aren't fused much at all... no more than the toes really in many cases. Having raised pigeons for most of my teen years, I know just how flexible those toes are... pigeons are never so frustrating as when they curl their feet into a "fist" when you're trying to put a leg band on them. I'd rather deal with birds unwilling to come in from a flight day than wrestle with a squirming chick. Yeah, I agree that dromaeosaurs were probably a little more flexible, in general, than most "modern" paleoart gives them credit for. Same is true of the tails (which were probably not ramrod straight, but a little more bendy, like a fishing pole). There actually is a recent study that includes information on the range of grasp in dromaeosaurid feet, and looked at Deinonychus specifically. 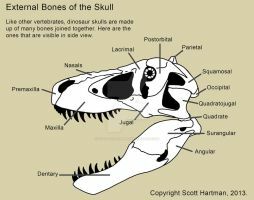 www.plosone.org/article/info%3… (Figure 8) Deinonychus, at least, could basically form a "fist" with its feet! Would it be possible to have diagram of the foot of a Woodpecker and Hawk? Thanks for the link. A lot of interesting ideas in that study (although I'm not sure what comparing Archaeopteryx to a goshawk really does to help their arguments... there are any number of avians, several other hawks included, that present a more likely silhouette for such a comparison). What I'm wondering is why there's no non-coelurosaurian tetanuran the way there usually is in this kind of diagram ( www.saga-geol.asso.fr/Images/0… )? Is it that the difference btwn it & either Coelophysis or Deinonychus isn't big enough to be worth including? There are a few reasons for that. For one, remember that this diagram is highly contextual, and will appear in a chapter on feathered dinosaurs that discusses, for the most part, only small "birdy" theropods. 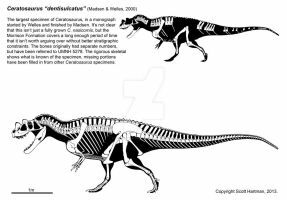 Non-coelurosaurian tetanurans aren't really discussed anywhere else in the chapter, but Coelophysis appears in at least one other diagram (comparing the shoulder joints) in the chapter. It is also the case that the visual difference (keep in mind the book is directed at creationists) isn't really significant enough, as you mentioned. 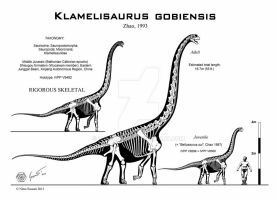 Thirdly, we wanted to keep the animals addressed relatively small - comparing something like Allosaurus to these animals would introduce unnecessary complications involving high-weight adaptations to the foot bones, etc. wait...which bones are those? I think some labels might help for those (like me) who don't automatically know which bone is which. They'll be discussed and more or less labeled when it appears in the book. 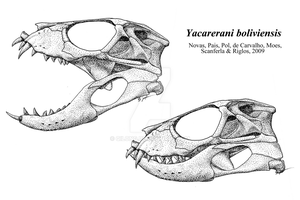 The long ankle bones here (the three bones in the non-avian dinosaurs, the long skinny single bone in the bird) is the metartarsals, which fuses with the tarsals to form the "tarsometatarsus" in birds. The hallux is the first inside toe - comparable to a dewclaw in dogs - that's held off the ground when the foot is flat. In birds, this toe has reversed to assist in perching. ah, ok, Now it makes sense. Fun fact! 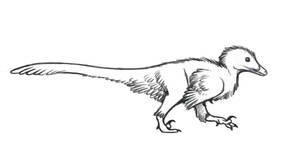 Sapeornis also has a semi-fused tarsometatarsus...it's a little more fused than in Archie, but not too far off.